SCOTTSDALE, Ariz., March 24, 2014 /PRNewswire/ — A leader and innovator in the talent relocation industry, Global Mobility Solutions (www.gmsmobility.com) is pleased to announce its inclusion on HRO Today’s Baker’s Dozen list of Best Relocation Companies 2014. Based on voluntary surveys of customer feedback, the Baker’s Dozen rankings are a highly regarded, objective benchmark of human resources performance. GMS ranked #2 on this year’s list of Best Relocation Companies 2014; the complete list is available at http://www.hrotoday.com/content/5602/2014-baker-s-dozen-customer-satisfaction-ratings-relocation. “I speak for the entire GMS team when I say we are deeply honored by the results of the Baker’s Dozen survey and the feedback of our valued clients. Making such a respected list is affirmation that GMS is doing things the right way,” said Global Mobility Solutions President Steven Wester, CRP, SGMS-T.
HRO Today staff analyze survey results for three broad subcategories: service breadth, deal size and quality. 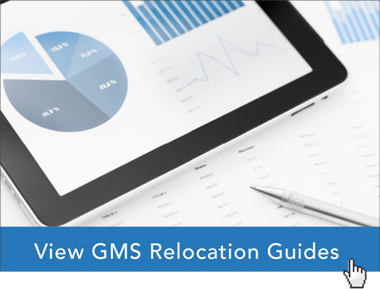 GMS buyers scored the company highly across all three subcategories, leading to the overall ranking of second among 13 relocation providers. Transferee satisfaction, client satisfaction, service response, reporting accuracy and timeliness, and invoice accuracy were the most significant metrics contributing to the company’s stellar ranking among the Best Relocation Companies 2014. Since 1987, GMS has set a high bar in the relocation industry, pioneering solutions and approaches that have become standard practices. The company is an end-to-end employee mobility provider, capable of deftly handling everything from visas to real estate buying and selling to cultural training. Whether moving across the country or across the world, GMS has the knowledge and experience to make the transition as effortless as possible; every transferee benefits from the one-on-one assistance of an expert relocation coach. A careful but rigorous pre-decision process has also helped to distance GMS from many of its competitors. The company believes in going the extra mile during this critical phase, which helps to minimize the risks associated with talent mobility. HRO Today is the nation’s premier publication on human resources operations and outsourcing. The Baker’s Dozen industry surveys represent a statistically valid feedback method for determining overall customer satisfaction as well as identifying specific contributing factors. Founded in 1987, Global Mobility Solutions is a leader and innovator in the talent mobility industry. The company provides a wide range of services that facilitate employee relocation on a global basis. The company’s services and relationships are an integral part of their client’s overall talent management strategy. Read more news from Global Mobility Solutions. Relocation companies, Global Mobility Solutions Ranked second in industry.